Wordpress is one of the most popular free blogging platforms around. While you'll always find restrictions with a free platform, Wordpress is a great place to get started with the world of blogging. Before you even get onto the computer, you have to decide what you want to blog about. You can really blog about any subject you're interested in: food, fashion, technology, home-life, or really just about anything. Once you know what you're going to be blogging about it's also a good idea to start brainstorming some names. When you've got an idea and name in your head, you can get started by going to www.wordpress.com. 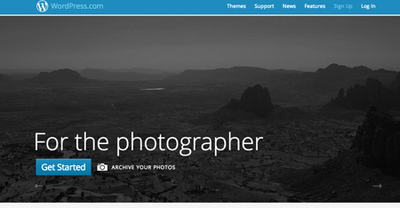 On the homepage, click the sign up link in the top righthand corner. Then fill in your email, username, password and blog address. You can always change your blog address later, so there's no need to panic if you pick one you're not so keen on down the line. It's best if your blog address is the same--or similar to--the name of your blog. You might also want to consider creating an email address to use specifically for your blog. That way you can use it for any blog related emails down the line. Once you've added your details, select your blog plan. It's usually best to get started with the free plan. You can always change your mind later. The final step of the sign up process is choosing a theme. You can test out various themes before choosing the one you like best; themes can always be changed later. 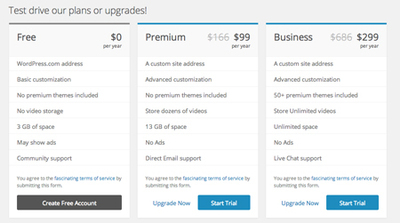 Some 'premium' themes cost money, but there are a great range of themes available for free. Now you've signed up for a blog. You just need to go to your email and click the activation link Wordpress has sent to your email address. Your blog is activated. If you're happy with how it looks you can start by adding your first post. 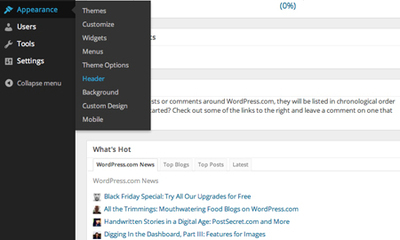 Otherwise, if you still want to make some changes you can do things like change your header, add widgets, or change other things about how your blog looks. 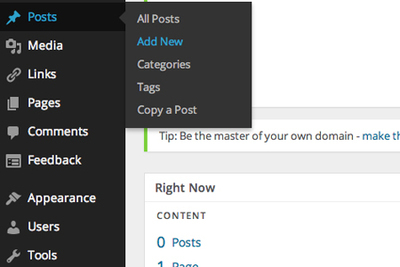 All the changes on your blog can be made on your dashboard. It's a good idea to have a play around before you start posting so that you understand how the platform works. Best of luck with your future blogging! I'd recommend having a go on your own first and seeing how you go. 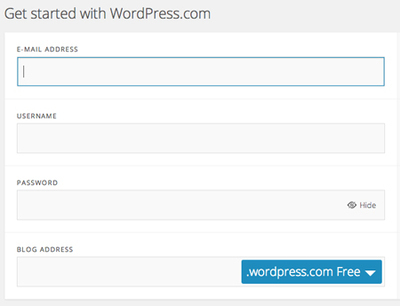 Using Wordpress.com is incredibly user friendly, and you'll find plenty of resources online to help you out for free. lynda.com is also great for tutorials. Good luck! Do you think it is worth taking up a course at a TAFE to learn how to use Wordpress or is it user-friendly? 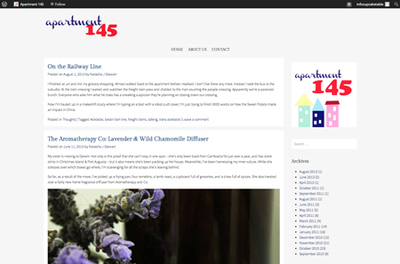 Thanks Natasha for clearing up some of the mystery surrounding starting a Blog.